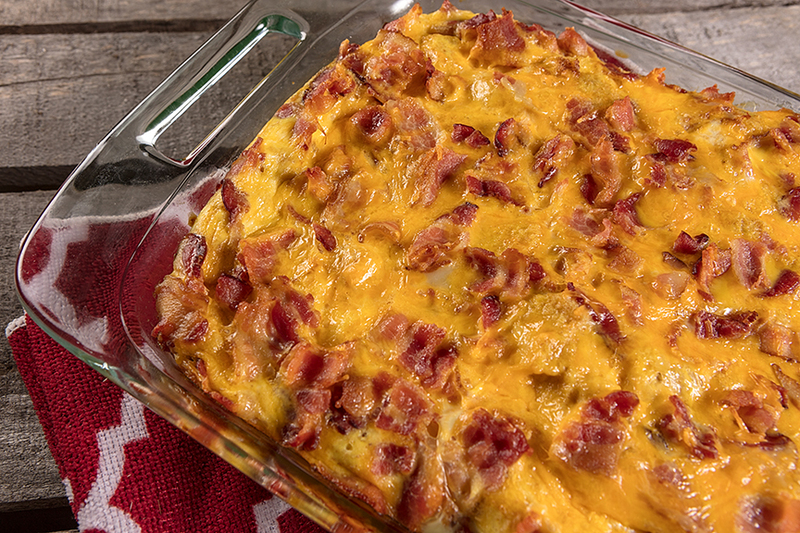 Preparing this dish the night before makes sure all the flavors, like Carolina Pride bacon, cheddar cheese and dry mustard, blend together beautifully. Cut strips of bacon crosswise into ½-inch pieces. Cook in skillet over medium heat until crisp; blot with paper towels. Discard accumulated bacon fat. Remove crusts from bread, and reserve for another use. Cut bread slices into cubes; set aside. In a large bowl, beat eggs, stir in milk, cheese and mustard. 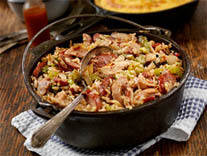 Gently stir bacon and bread crumbs into egg mixture; spoon into buttered 8-inch square baking dish. Cover tightly and refrigerate overnight. Remove from refrigerator and let stand at room temperature for 15 minutes. Bake, uncovered at 320 degrees F for 45 minutes or until knife inserted midway between center and outer edge comes out clean.